Adobe Photoshop CC is the world’s most advanced digital imaging software, used by photographers, designers, web professionals, and video professionals. 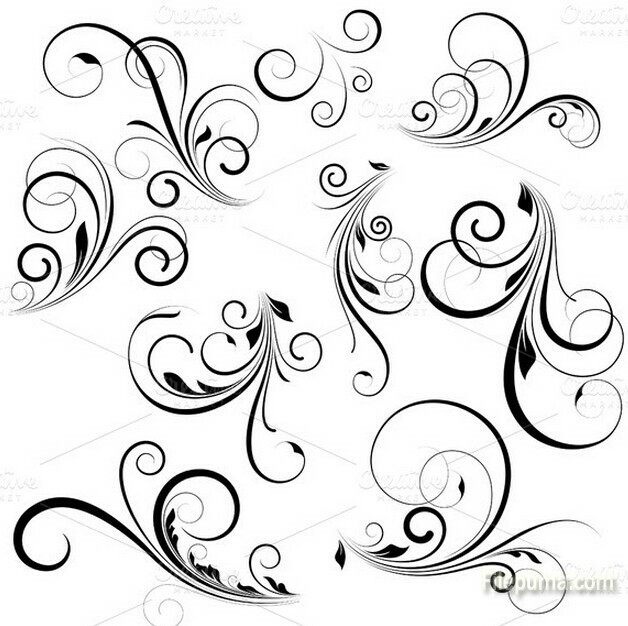 You can also create vector graphics, such as swirls, for your digital art. Here is the instruction to tell you how to draw vector swirls on Photoshop with “Pen Tool”. 1. Start Photoshop. Click “File—-New” to open a new blank document. 2. Select a color from the color palette. Click the “Brush Tool” and select one “Hard Round” brushes. Select the brush size and set it to 100% opacity. 3. Click and hold the “Pen Tool,” then select “Freeform Pen Tool”. 4. Click on your document begin to draw the swirl shape. Now you’ve successfully create a vector path following the created shape. 6. Photoshop will draw your vector swirl using the “Hard Round” brush and the color you selected. Right-click and select “Delete Path.” This can remove the path line from your vector image. Repeat this process to draw as many vector swirls as you need.